Chrichton's World: Review Face/Off (1997): A John Woo classic that could have been just as good as Hard Boiled! Review Face/Off (1997): A John Woo classic that could have been just as good as Hard Boiled! Face/Off was the closest John Woo came to making a heroic bloodshed type of film in Hollywood excluding Hard Target of course. In hindsight Hard Target might be slightly superior to Face/Off. 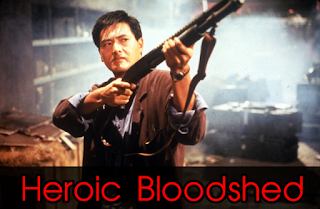 In any case this John Woo film has all the trademarks that made him famous. Except it's wrapped in an incredulous science fiction tale where the focus lies on the two main characters. John Travolta and Nicolas Cage get to play their own character and each other. The first time you see this it's easily the main draw as it is incredibly compelling to watch the actors mimic each other. After multiple views though it becomes less interesting due to the novelty that has worn off. In a John Woo film this shouldn't matter much since you still have the action to rely on. And to be honest, it's in this department that Woo let's down a little. Not to say that it's not stylistic and beautiful It still is better choreographed than most Hollywood films. However it lacks the punch and grit for example Hard Boiled had. And there is not nearly as much gun play as I would have liked. 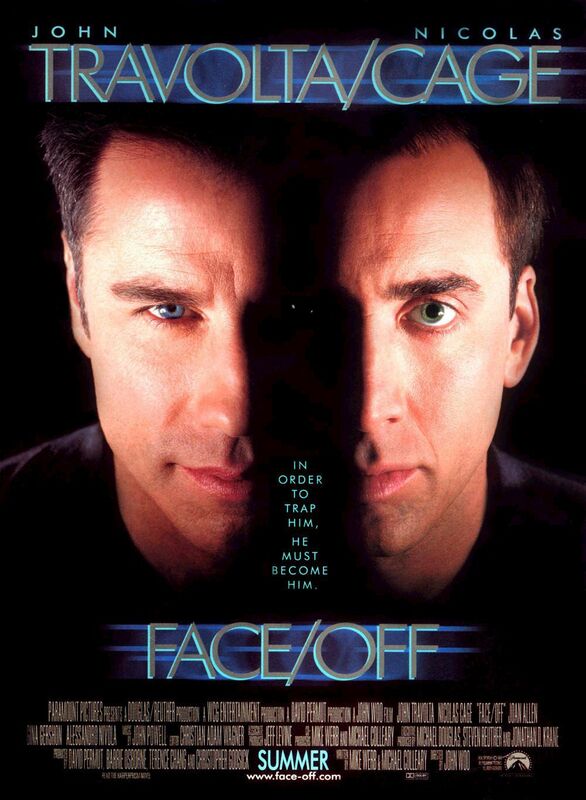 Face/Off would have been perfect with either one extra long drawn out shoot out scene or three shorter ones. It's the one element I have been on the hunt for and sadly there aren't that many bullet ballet films that do it right. Some people accuse Travolta and Cage of overacting too much. You have two characters who hate each other but are forced to wear each others face. How would you feel if that had happened to you? I mean the whole premise is so unbelievable that you have to have a little fun with it. They are supposed to exaggerate the characteristics to point out who is who. And it has to be said Travolta and Cage do a good job of playing each other. Too bad the story itself is your typical cops and robbers flick. I mean there are some scenes where they tried to play around with the switched identity plot like for example Castor as Archer gets to meet Archer's daughter. Only it doesn't go far enough. For a film that is as weird as it is it remains to be quite wholesome. Overall it's a film that remains to be fun after multiple viewings although it would have been much better had they actually dared to let Woo go loose like he did in his Hong Kong flicks.